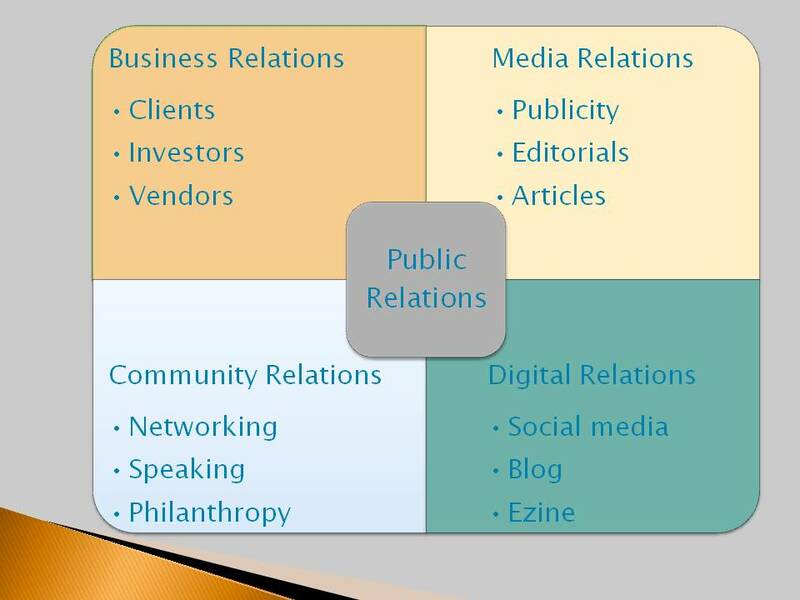 Public Relations is all about building relationships with the company, whether you’re a sole proprietor or a Fortune 500 corporation. This graphic shows the basics for the small business owner. Public relations practices aren’t limited to these four. Not included are government relations, employee relations, donor/member relations, multicultural relations and any other “public” you can think of. Other work includes crisis communication and planning, speeches, events, etc. All require brand development, strategic planning and message development-no matter the company size.